These knives are extra's I made when an order came in. I usually only make to order but sometimes will grind an extra blade when I want to use my time more efficiently. At times a new design may be offered here before it becomes a standard offering. 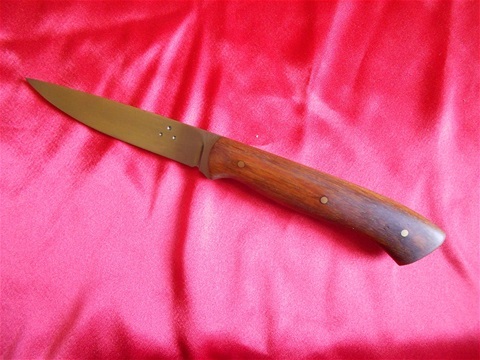 This knife has a 3 1/2 inch .09 15N20 blade and upgraded handles of spalted beech. A field scalpel with buffalo horn handles on a 2 1/2 inch blade of .125 1084 steel. A sheath to suit either right or left hand needs. 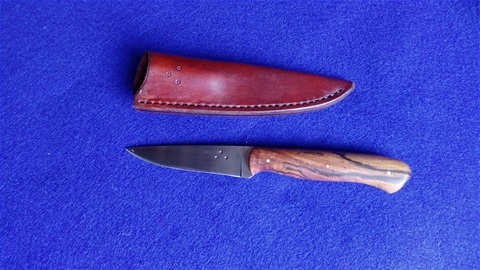 A sheath to be made to suit either right or left hand needs. 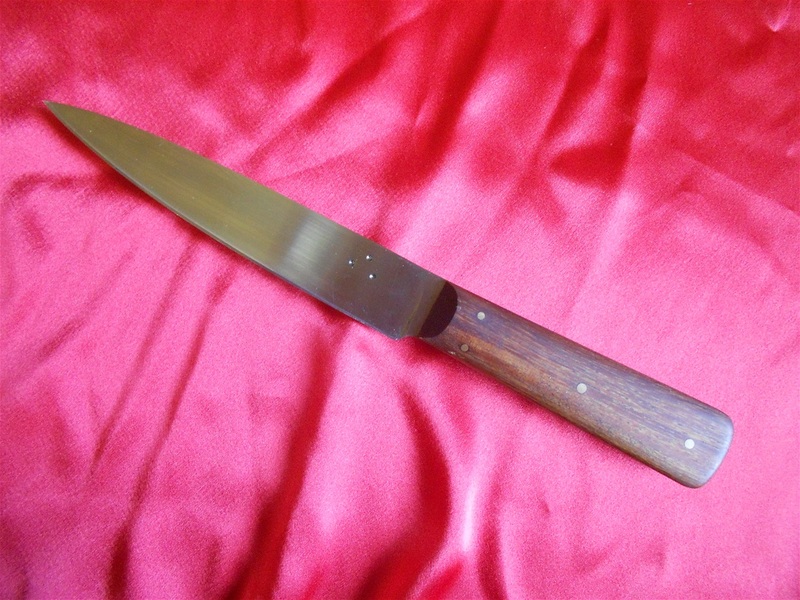 A lion knife with a 5 3/4 inch blade of .125 1084 steel. A JT. 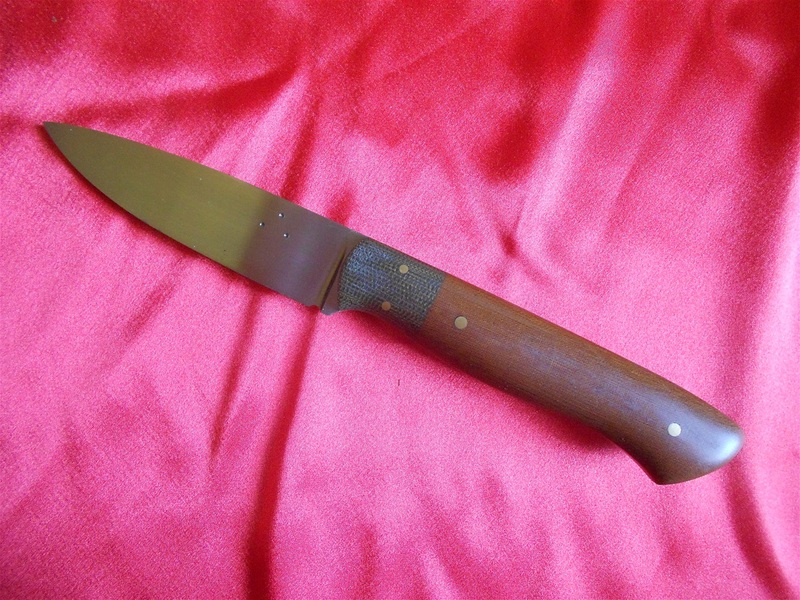 Ranger with standard blackwood handles. A 5 1/2 inch .156 1095 blade. 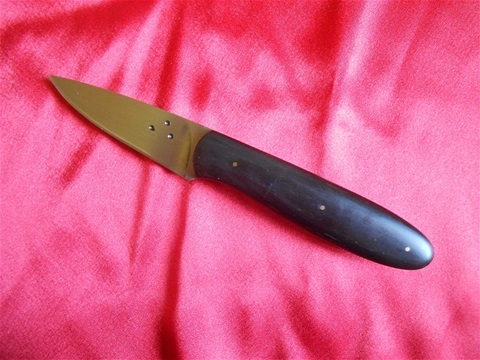 A sheath is to be made to suit needs in either standard vertical carry or a 45* cross draw option. 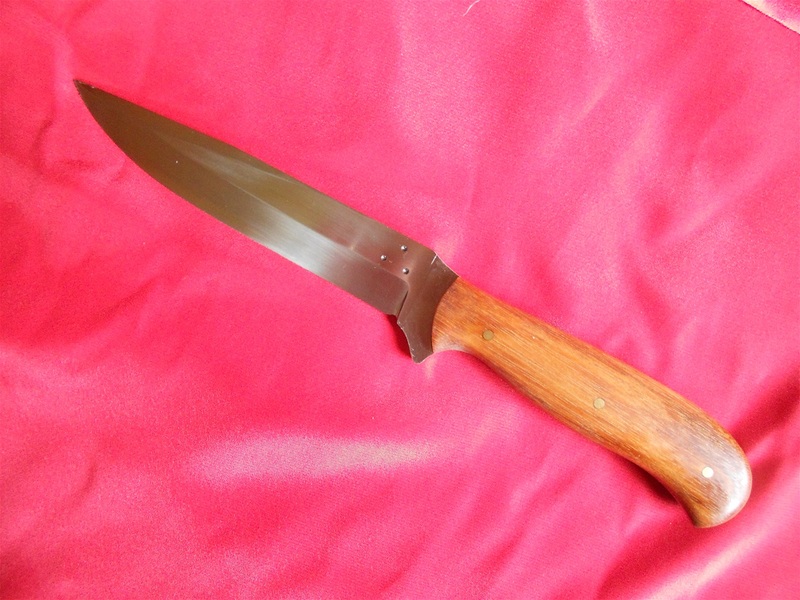 A hunting knife with a 4 inch .125 1084 blade that has a skinning bias. 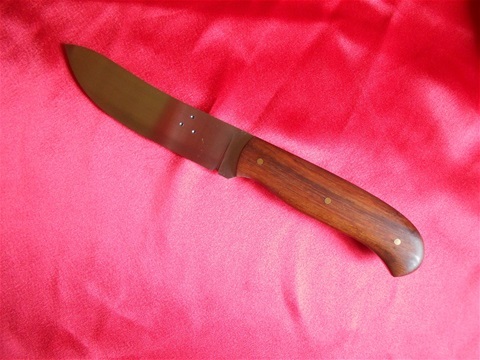 A sheath, either right or left handed will be made to suit needs.